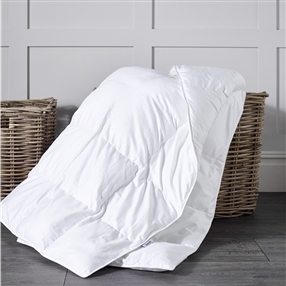 The All season’s duvet is made up of 2 individual duvets which are clipped together using premium YKK Snap Fasteners. 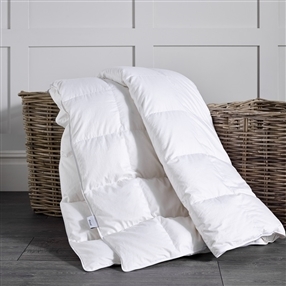 This duvet construction provides all year round flexibility which can be adapted to the weather conditions and personal requirements of the user. 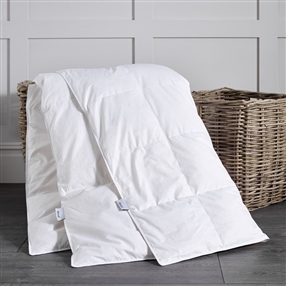 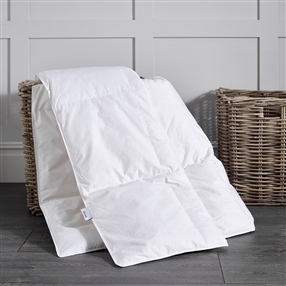 The Duvet is made up of a 9.5 Tog and a 4.5 Tog Duvet which when combined provide 13.5 tog for the colder winter nights. 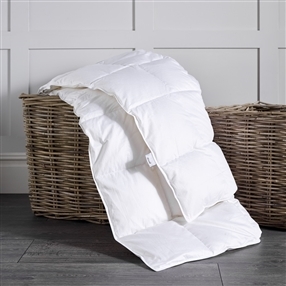 The 9 Tog option can be used on its own for Spring and Autumn where temperatures are a little warmer and the 4.5 tog is generally used for those warmer summer nights where a lighter summer duvet is required.